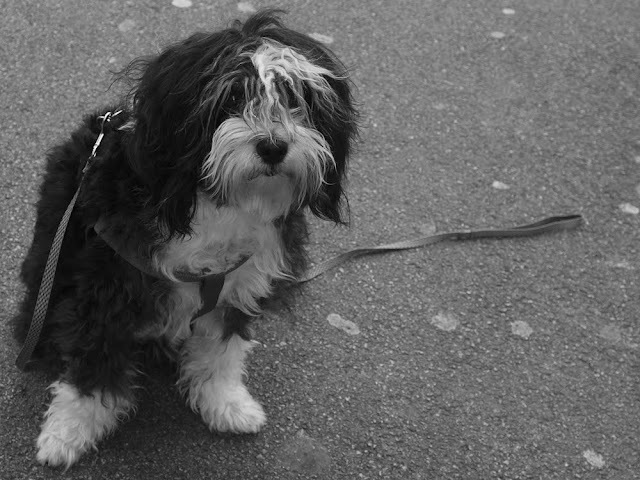 This little dog was waiting outside the patisserie for her owner. 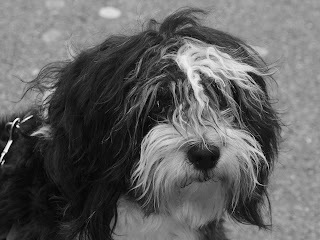 She looks like a Bearded Collie but she is far too small so I'm not sure what she is - except she's adorable. What a good little girl to wait so obediently. Oh! Too cute! You've captured something about her that really comes through. Nice. Perhaps she knows there will be something tasty as a reward.